Abu Dhabi, November 1, 2018: Dr. B. R. Shetty owned ADVOC (Abu Dhabi Vegetable Oil Company), today announced a partnership with India’s Patanjali Ayurved Limited to produce a range of edible oils for the middle eastern market. 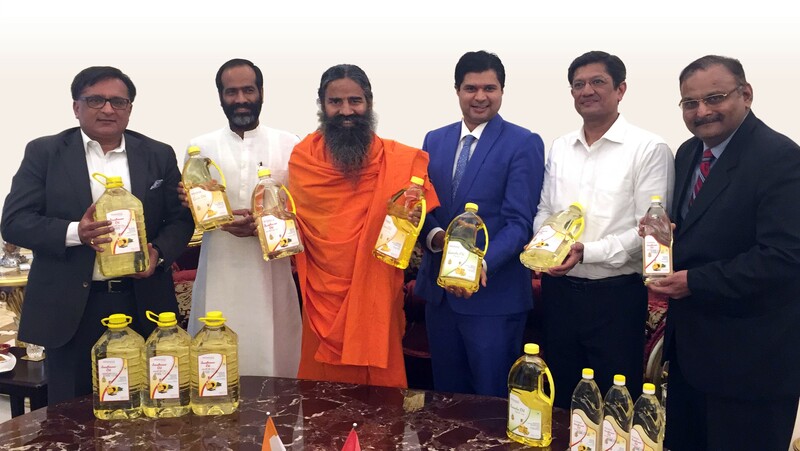 ADVOC, known for owning leading edible oil brands, will produce a range of sunflower, corn and canola oils for Patanjali Ayurved Limited under the Patanjali® brand name. The Patanjali® branded edible oil will be available in 750ml, 1.8 ltr and 5 ltr packages across the GCC region from November 2018. ADVOC, a leading producer of edible oils across the GCC region, is also the only edible oil refinery in Abu Dhabi, UAE. Established by India’s leading Yoga Guru – Baba Ramdev, Patanjali Ayurved Limited is a leading Indian consumer goods company. Dr. D K Mehta, Head- International Business at Patanjali added, “With international packaging standards and competitive pricing, we are confident that Patanjali edible oils will delight the consumers”.